Writing copy is tough. Writing persuasive copy is tougher. There is so much info out there on how to write copy, and most of it is contradictory. Some say to write copy that puts people into “yes rooms” while others say that you should write copy that puts people into “no rooms.” So without using anecdotal advice, here is a list of 13 easy-to-use copywriting tips based on psychology. Passive sentences are more complex than active sentences and therefore weaken persuasion. Comprehension is an antecedent to persuasion. This, in plain English, means that you need first to understand something to be convinced (persuaded) that it’s true. Can you visualize the following feature: Powerful. Of course not. Nobody can. So you don’t tell people that your app is powerful. You tell them that it has God-like powers. In general, people are really bad at visualizing concepts. So when you talk about percentages, convey them in a way we all understand — people. Rather than 90%, say 9 out of 10 people (recommend this toothpaste, e.g.). Information without emotions is boring, and we tend not remember said information. On the other hand, information packed with emotions is called a story, and those we are more likely to remember. That’s why you have no idea what happened on the news 20 days ago, but you do remember the bully that harassed you back in the third grade. “Our safe room against burglars has helped out thousands of people feel secure and safe.” This sentence doesn’t really appeal to anyone or strike at any emotion. 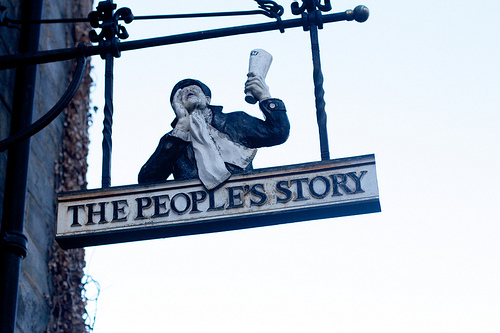 On the other hand, a story about a single person just might. Suddenly, we care. Talk about the experience of a single person and paint the picture. Every single move has a counter-move in martial arts, and it’s the same thing for a product or service. There are some people who the product is exactly for (your target audience), and then there are certain people for whom the product isn’t for. Talk about the pros and cons of your product, and make sure that you get the right people on the bus and the wrong one out at the next station. I don’t want a better drill, I just want a hole. People don’t care about the tool; they just want to get a benefit. They don’t want to read books; they want to get information from them. That’s why audiobooks and book summaries are so popular. It’s not the format; it’s the content. There is something called the Parkinson’s Law which states that “work expands so as to fill the time available for its completion.” Which means that if you don’t have a deadline, things will never happen. If there weren’t a deadline for me to write this article, it would never happen. The same thing happens when you sell your product. If there is no deadline, there is no urge to buy. Do you ever use rhetorical questions when you write copy — like this one? If you don’t, you should start doing it now. They make your arguments more persuasive because they generate an implicit response in the reader. They start thinking about the things they are reading, and they evaluate your arguments. If they are sound (and they should be), you engage readers in your copy even more. This helps you persuade your readers even more. Dale Carnegie said it the best when he said, “Remember that a person’s name is to that person the sweetest and most important sound in any language.” When you’re writing copy, include the name of the person whom you are sending the copy to multiple times. The master at this is Ramit Sethi. He doesn’t use names at the beginning of his email copy; instead, he uses it later on in the text to keep his reader engaged. This is why it’s important to take the name of the person as it is in their email address or signature. This completes the circle. We said that active voice was more persuasive than passive voice because it’s clear and you can understand it. Whenever you write copy, you need to make sure that your readers understand you. You do that by being clear in your message, not smart. Use words and phrases they would use, make sure that you write as you talk, and be flexible in your approach. Different target audiences require different wording. A gym that targets only women would say, “Get lean,” but the one targeting men would say, “Get buff.” Switch those two around and see what happens. 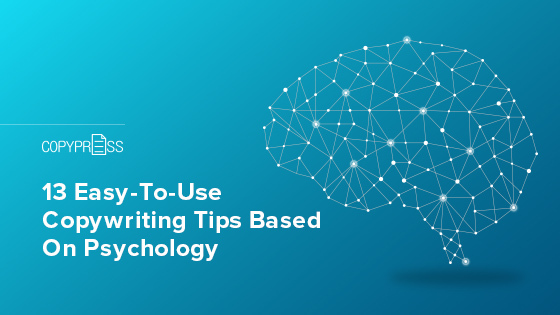 There are many more psychology-based copywriting tips, but if you use these, you will see a great improvement in the interaction with your copy.